“Because Hebrew school is the only place he is going to learn how to heal death. Because Hebrew school is the only place he is going to find his part in the redemption of the world. I have never forgotten that morning. Here are some of the things I think I know. As Jewish educators we see our job as “Judification.” We are not trying to inform our students about their Jewish skills or provide them with Jewish information. Instead we have taken the responsibility to create (or at least significantly deepen) their Jewish identification. We use three or four tools in order to do this. (1) We start early, because we want to build Jewish feelings. And that is why preschool is so big on the agenda. (2) We try hard to make our schools either short or fun or both—because we accept the guilt that the previous generation of Jewish schools is responsible for the level of assimilation because the previous generation of students didn’t feel good about going to them. (4) We worship at the altar of memory rather than the altar of meaning. We operate on the assumption that if our students have enough photographs of enough positive Jewish moments, these good feelings will create the inertia needed to keep them moving in Jewish directions. We are in an era of post-ethnic chic. Judaism is now a Protestant religion. The bagel is now “The Great American Bagel.” “You don’t have to be Jewish to love Levy’s rye bread.” Holocaust guilt is not going to motivate late-bearing Boomers, Gen X-ers and Gen Y-ers to send their kids to Hebrew school. Neither is Grandma’s Passover dinner.Judaism has got to make their life richer, more meaningful. It has got to be vocational and productive, or it will drop away. We all know how to order Thai food, dim sum, tapas, sushi, Indian, Mexican and the like. The deli is no longer our home. We instill a Judaism and a Jewish practice that is meaningful to adults. We build a land bridge from b’nai mitzvah observance to college and then another from college to adult Jewish life. We make sure that our students have Jewish friends as well as Jewish memories. Unitarians can look at their old photos, too. This means that just like teachers writing objectives, we must focus on the final behaviors we are seeking before we plan our lessons and activities. 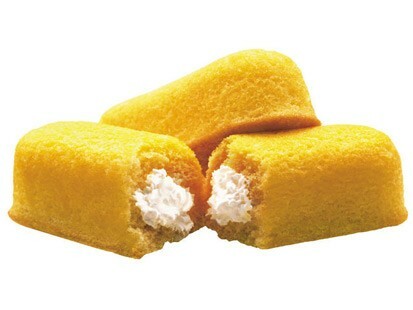 Good memories alone are a meal made of Twinkies. The four questions—the ones about death, world repair, self-improvement and Jewish connection—are the ones we have to help our students answer. These are questions of meaning, not resolved by facts, not really touched by good memories. Anything less, however, is empty calories. Next time we will look at how this translates into school design. This entry was posted on Friday, September 24th, 2010 at 12:00 pm and is filed under Family Education, Jewish Education, Jewish Values, Religious School, School Design, Teaching, Uncategorized. You can follow any responses to this entry through the RSS 2.0 feed. You can leave a response, or trackback from your own site.